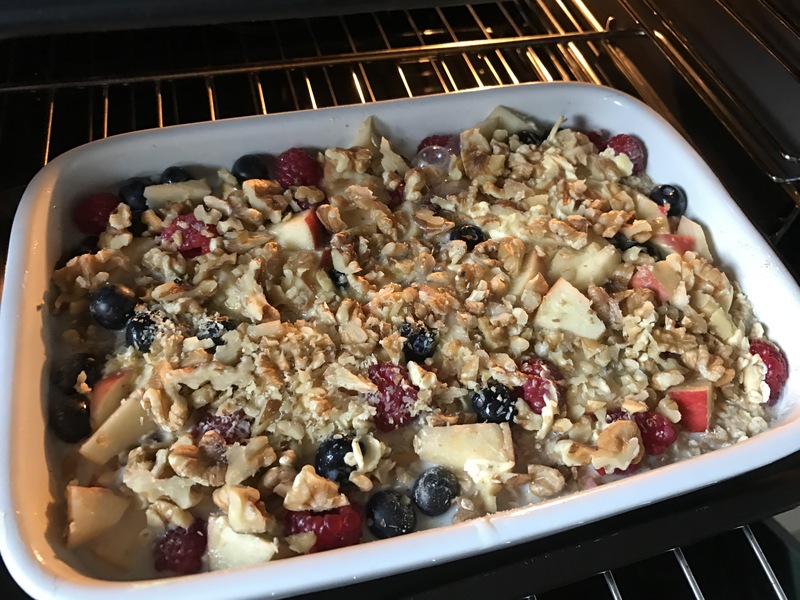 I’ve posted this recipe before – here: https://lornpearsontrains.co.uk/2015/10/25/breakfast-fruity-oat-bake/ and now that the colder days are coming in I’ve been making it each week, for the week ahead. It’s really easy to make and very tasty. 1. 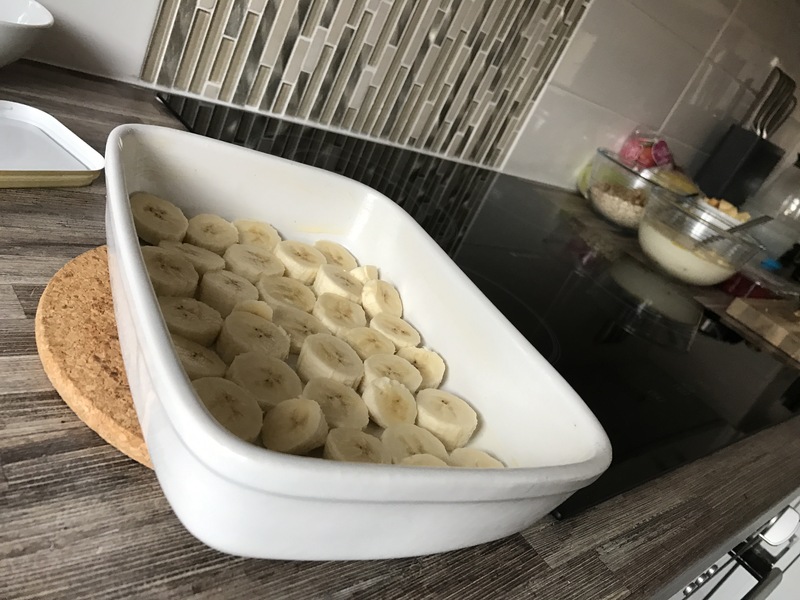 Grease a baking tray with butter, and put a layer of 2 chopped bananas in the base (or enough to line the base). 2. 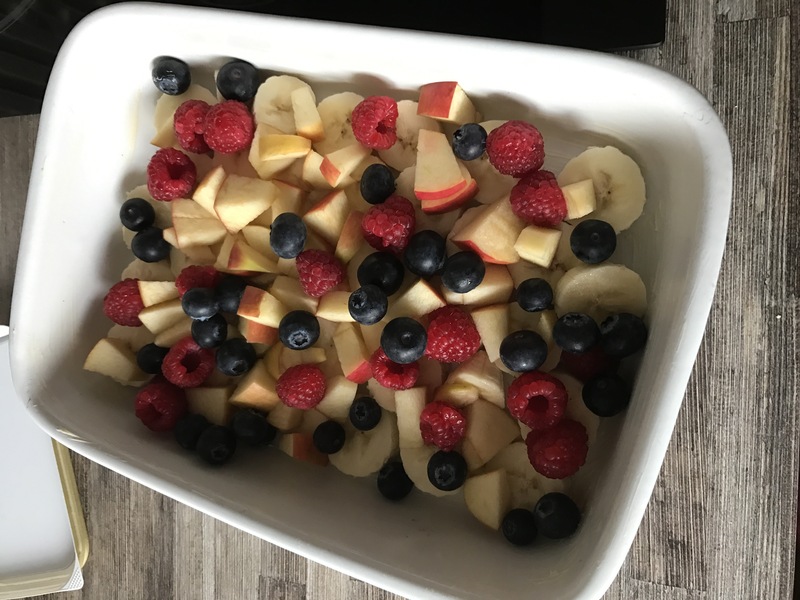 Add half of the berries, raspberries and blueberries (and I added half a chopped up pink lady apple this time). 3. 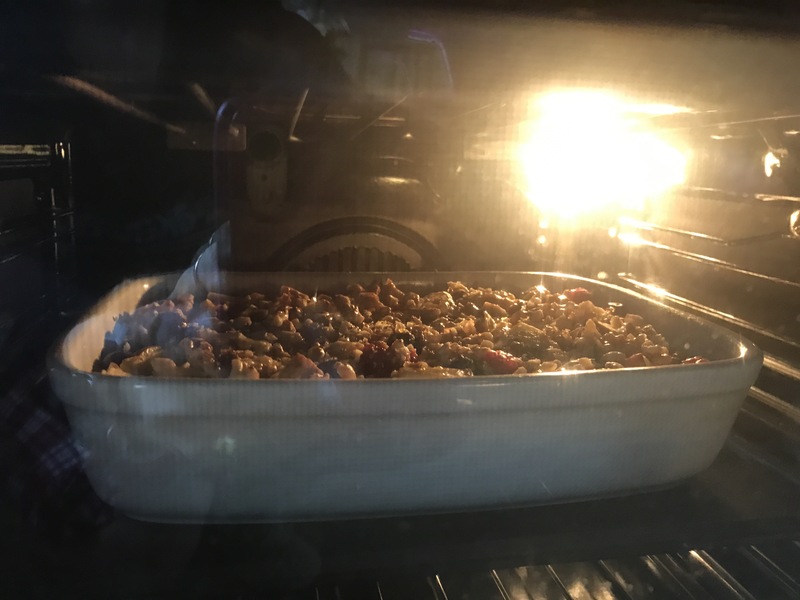 In a bowl, mix a cup of oats, half a teaspoon of baking powder, 1 teaspoon of cinnamon, half the chopped walnuts. Sprinkle all of it over the fruit and spread out evenly. 4. In a bowl, mix two eggs, with a cup of milk, vanilla essence and some butter. Pour over the dry mix in the tray, and spread evenly. Add the maple syrup, pouring over the top evenly. 5. 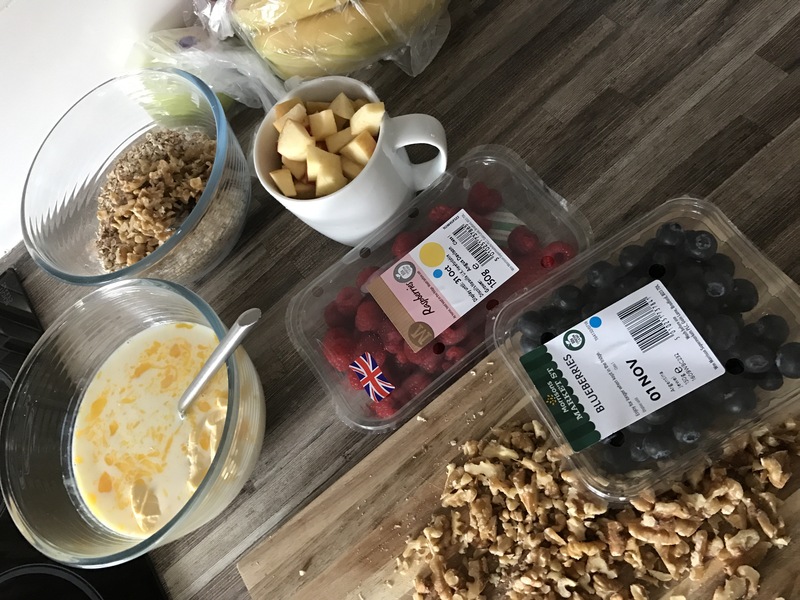 Add the remaining fruit (berries and apple) and the walnuts. And pat down. 6. Bake in the oven at 180’C for 30-40 minutes. 7. Once finished split into 6-8 portions, serve with berries and a generous portion of Greek yoghurt. 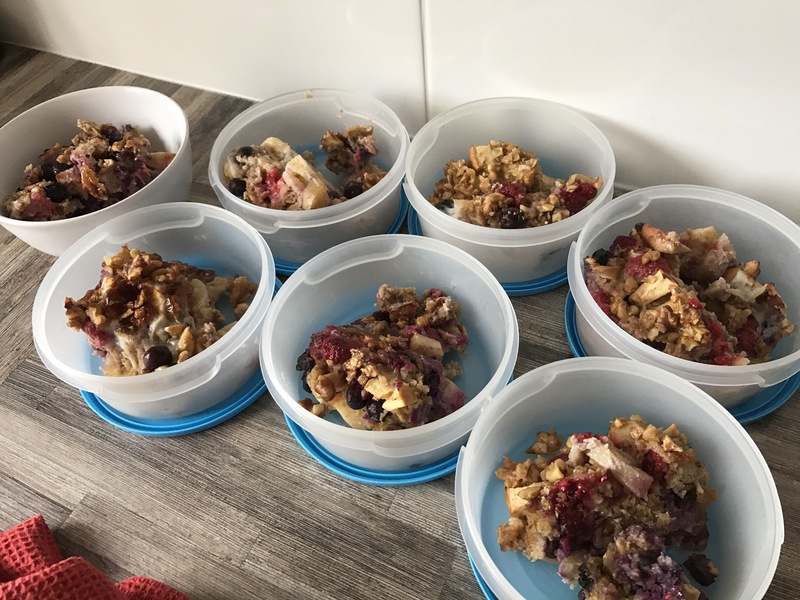 Store the remaining portions in Tupperware in the fridge for the next few mornings.